The Metallic trims comes in mainly three colors, Gold, Antique Gold (goldw/Black), Old Gold (Goldw/Brown). Metallic string cord, Copper, Silver, Antique Gold, Gold. 30 yard cuts. Variety of Colors with Metallic Gold edge, White with SILVER edge, 3/32" wide, Rayon, 15 or 30 yard cut. 1 " 32, Metallic covered wire. You can bend this metallic in any shape. 3 yard cuts. Metallic, 3/8" Wide, gold or old gold, 20 yards. Gold or Gold w/Antique Gold Metallic Braid, 1/8", 15 yard cut. This metallic trim comes in two colors, all gold, or Gold w/Antique Gold, 3/16", 15 yard cut. Old gold trim with satin insert. 1/4" wide, Rose/Gold, Gold/Gold, Olive/Gold, Copen/Gold, Made in Germany. 15 yard cut. This is a Antique Gold Metallic trim with Satin insert. Three insert colors, burgundy, rose, lavender. 1/4", 13 yard cut. 3/8" Metallic, Antique gold trim with satin insert. Purple, Ivory, Rose, Gold, Emerald, Dk Gold, Ecru . Made in Germany. Metallic trim, Gold or Old Gold, 3/16", 15 yard cuts. 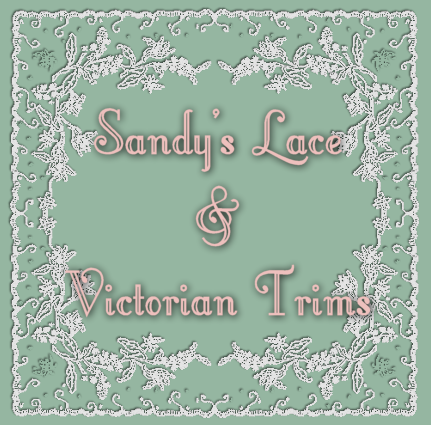 Metallic Trim, Gold or Old Gold, 1/4", 15 yard cuts. This is a very narrow gold metallic soutach trim, 1/16, 15 yard cuts. Metallic gold cord, Made in Germany very narrow 1/16", 20 yard cuts. 3mm multi colored rick-rack, 15 yds.